Combine 1 cup lemon juice, water, sugar, and rosemary into medium saucepan over high heat. Boil and then simmer for 5 min. This creates a nice simple syrup. Remove from heat and remove the wilted rosemary. Let the liquid cool slightly. Combine remaining lemon juice, vodka, lemon zest and syrup in a large bowl. Puree the peach chunks in that food processor until smooth. 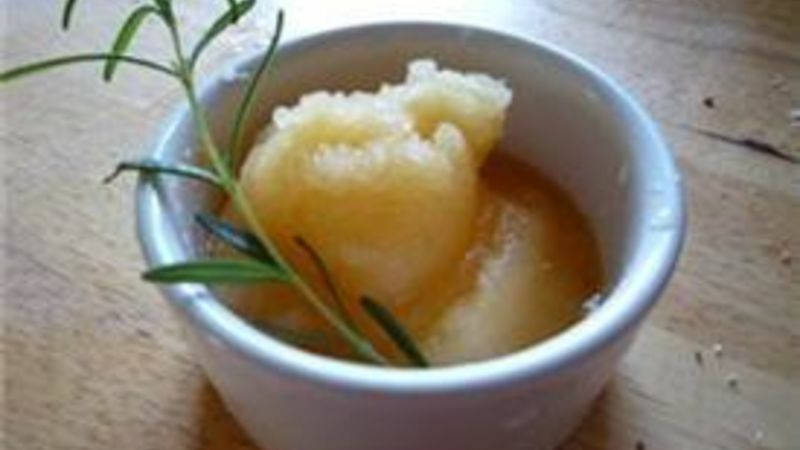 Add pureed peaches to lemon mixture, cover with plastic wrap, and chill in the refrigerator for at least 3 hours. Pour into your ice cream maker and let it do it's thing. It will likely be soft, but you can freeze it to make it firmer.